Born and raised in Vancouver Catalina appreciates the value of wellness and regards herself as a continuous learner so she can best support others in their wellness journey. She graduated from the Vancouver College of Massage Therapy in 2015 and has been working with prenatal and postnatal women since then. She enjoys supporting and educating women about the physical changes that occur during this transition and is focused on creating calm environment with a specific treatment plan for each individual. She integrates Swedish massage, myofascial release & trigger point therapy, and deep tissue, with home care exercises. Her goal is decrease pain, improve postural alignment, and maintain tissue integrity. Catalina was first introduced to massage when her dad developed a spinal stenosis. Following his surgery, Catalina witnessed firsthand the benefits of regular massage treatments; it improved his range of motion in hips & low back, increased circulation and decreased his pain. Inspired by this she decided to begin her own journey into massage therapy. 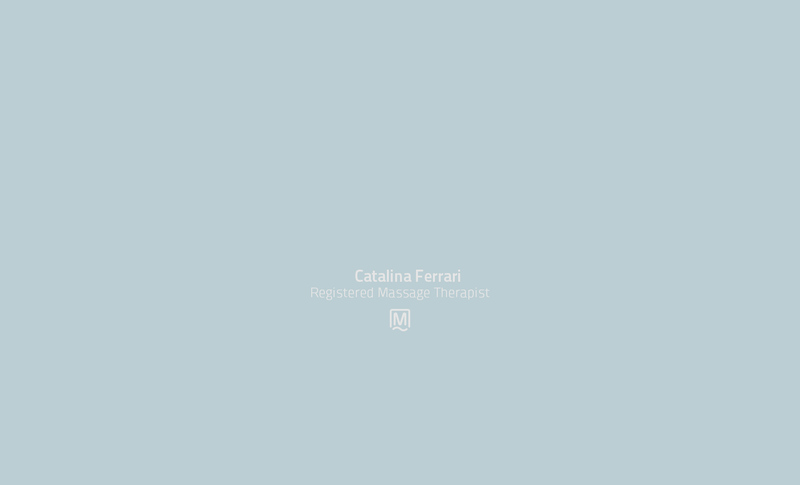 While Catalina regularly works with a broad range of patients, she is currently exploring perinatal, post-surgical, and pediatric fields. She maintains an active and healthy lifestyle, while recognizing the importance of down time.